Every now and then is good to pause our lives and enjoy the simple things in life. If you have never spent a Saturday morning at Historic Norcross you have no idea what you have been missing. Historic downtown Norcross is very artsy, and is full of restaurant and small eateries. One of the things I like to do most when I visit Norcross, is to explore one-of-a-kind antique shops like "The Little Red Barn". 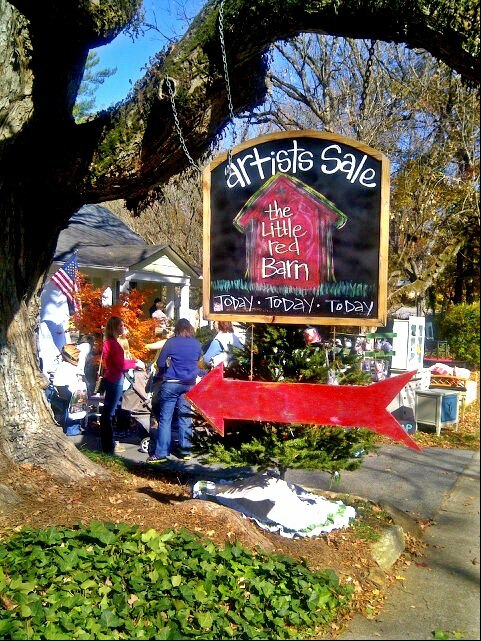 They sell the cutest, most adorable vintage linens, and rejuvenated furniture. 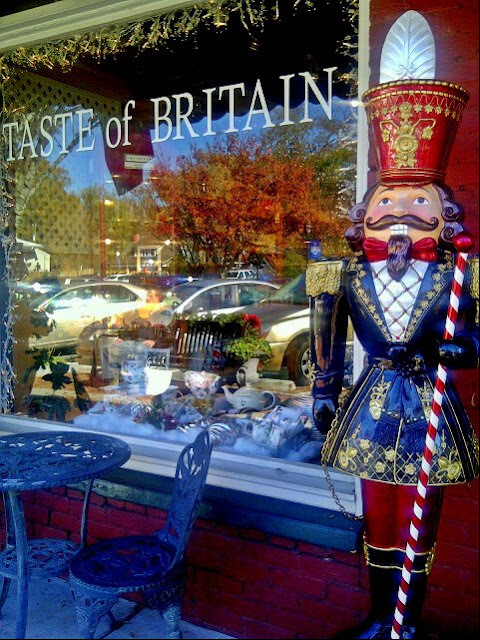 I also adore stopping by at "Taste of Britain" and stock up on all the goodies you would get if you ever visit this part of Europe. My kids always stocked up on candy, while I like the meat pies and a carbonated lemonade they sell that I just can't get enough. The Whistle Stop Farmer's Market, is a small open market that features locally produced fresh vegetables and fruits, grown using organic and natural practices. In addition, they offer homemade baked goods, breads, meats, yogurts, fresh eggs and milk, sauces, spices, jams and jellies, and many other items local regional and artisanal items. Between 35 - 40+ vendors are at each market each week, offering products that are locally grown, vegan, gluten-free, use organic ingredients, and with recipes that are newly created as well as handed down through the generations. The quality of the vendors and the products they sell is incredible. This market was voted one of the top five in Georgia. You can see the full list on vendors at the farmer's market website. 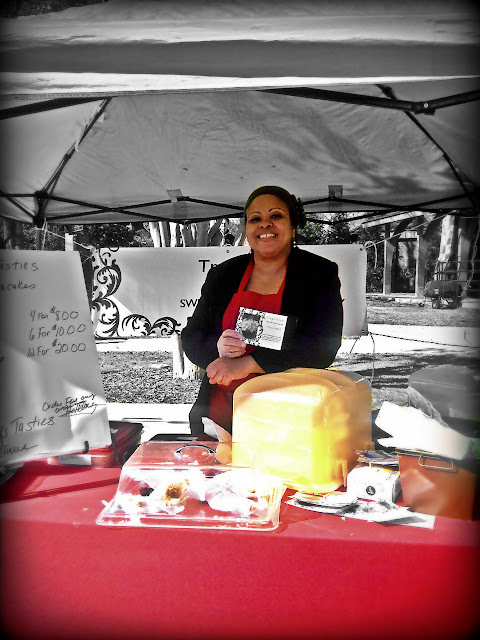 At the market we met Tracy, from Tracy'sTasties Mini Cheesacakes. She let us sampled her avocado cheesecake and it was, surprisingly, really, really good. Her sweet potato cheesecake (perfect for the holidays) is very light and airy and it melts in your mouth like a souffle. I also had the opportunity to taste the sinfully irresistible apple scrapple bread from Freshly Mills Bread and it was oh soo good!! I could eat the entire thing in the blink of an eye. I honestly wish people could understand the importance of slowing down and embracing a simpler life. Supporting local business and local farmer's markets, like the Whistle Stop, not only helps keep the money local but allows us to build a better community for our children. Next time one of your kids tells you "let's go to the mall" tell them "let's try something different today" and head downtown for a day you will never forget.